Audio Book of the Childhood Heroes Guide with commentary by the author. DETECTIVE HAT: We all want to share the stories or entertainment we loved when we were growing up. But, what was fun and fascinating may have, unknowingly, conveyed a detriment. This process is always interesting. We become detectives of a sort finding and putting the pieces of the puzzle together to see the whole picture formed by our personal clues. When you listen to Heather mentoring the people in the classroom, you will find the interpretation of how the favorite childhood hero shaped a life completely absorbing. GUIDE CHILDREN: Recognizing certain patterns in our children’s favorite games or characters can alert us to expanding a child’s talents and to protecting them by shining a light on foolish assumptions or narratives. EMPOWERMENT METHOD: Through the years of working with clients in my private practice and students in my classes, I have sought, discovered and created various methods for helping people heal, learn and grow. We have learned that most human beings use a fraction of their potential. I aim to rely on that latent greatness in each person and to invoke its abilities for practical empowerment. OUR IDEALS: The Childhood Heroes Guide coaches you through the really fun process I use to zero in on some of our most pervasive unconscious self-sabotaging patterns. When you examine the personalities and lifestyles of your favorite role models with which you identified through your early years, you’ll find a surprisingly accurate image of your aspirations on how to be a good person and to adapt to adversity. WHAT WAS MISSING? We learn by example what is conveyed and, also, what is NOT conveyed. With knowledge of the paradoxical gifts and the blind spots, we can understand how to take advantage of both lessons: keep the gift and learn from the shadow about what was missing. My wish is that, like my private practice clients and students, you can benefit from my mentoring through this interesting and accessible concept of archetypes for yourself and for the children in your life. May this guide awaken meaningful insights and inspiration. A PATTERN FOR LIFE: During our childhood growth and learning, most of us identified with role models and ideals based on a favorite hero or a character in a story. Those views of life become part of our personalities and lifestyles. We can understand some of our habits and predilections through identifying those archetypal patterns and questioning whether they accurately reflect the ideals and goals we hold to be true today. UNCONSCIOUS LIFE SCRIPT: When we can identify the story or role in the present, it no longer holds us to an unconscious script. 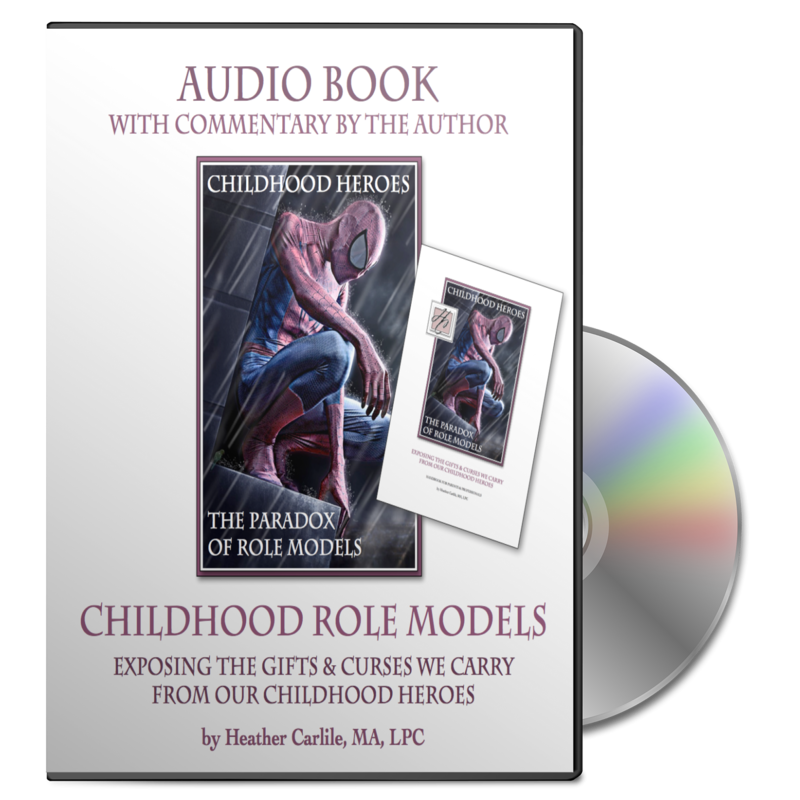 Heather takes you through identifying the premise and the actors in the story and how they assisted young people with helpful role models and coping behaviors in childhood but, how they can end up hindering adult development and lifestyle. DISSOLVING THE LIMITATIONS: We can strengthen individuals by helping them learn how they recognized positive qualities in the role model and developed them. We can also reveal how the archetype or hero illustrates limitations and continues to hold people back by fooling them into believing that they also possess and are limited by the missing or under-developed aspects of the personality or the lifestyle in the story. SUPERHEROES: We may have one to three heroes or a group of characters which illustrate one classic archetype such as in the superhero: Superman, The Hulk, Batman or Spider Man or in the damsel: Cinderella, Sleeping Beauty, Snow White or Beauty. Some may not have bonded with a tale and, instead, had a pattern of play or of favorite games. PARENTS AND TEACHERS: Through learning how childhood influences affect life scripts, we may also learn and teach how to select recreation, video games, television, books and movies in order to school our children. Through the stories, myths and role models they experience, we can avoid the strictures of limiting heroes and help ensure their self-esteem, character and success with abilities in all aspects of a good life: self-confidence, motivation, intimacy and competency. Through this program, you can learn how heroes and heroines can be a source of self-sabotage or of greatness for yourself and our children. INSTRUCTIONS: As you listen to this study guide, do as much as you prefer for yourself. But, I do recommend you jot down even a few words or phrases as we go. Your insights as you self-observe will expand over months…even years. You can return to your notes and add or change or update them later. And, most of all, may these tales give you more of who you are and more confidence in what you love to do. Heather Carlile, MA, LPC, whose private practice is in Richardson, Texas, specializes in depth psychology and marriage counseling. Her unique transpersonal philosophy, which she uses to relieve anxiety, depression, confusion, guilt, anger, trauma and grief, integrates archetypes and spirituality with classical psychological techniques. 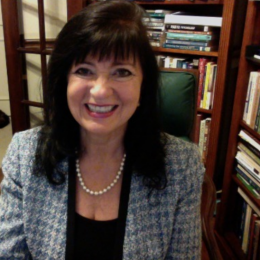 Her work includes seminars on stopping self-sabotage, on empowering dropouts or those lacking motivation, virtuous character, parenting, personality (through the Enneagram), and adolescence. She created and co-facilitates Designer Marriage with her husband, Dr. Jack Waldenmaier. Heather is also a professional speaker and corporate trainer with a special focus on communication, emotional intelligence, life/work balance and change management. Heather is the author of various programs including ReWriting Your Future, a course to “Integrate Personality with Purpose,” her Grief Recovery Guide, Keeping Our Teens On Track, the Gift Getaway’s for women and ReBuilding Trust: How Couples Start Over.